Baahubali: The Conclusion released across 8,000 screens on April 28. Even after 100 days of its release, the film is still going strong. According to trade analyst Taran Adarsh, Baahubali 2 is the 'pride of Indian cinema.' 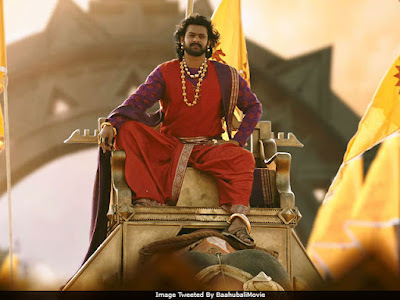 The epic fantasy directed by SS Rajamouli, stars Prabhas in the lead role of Amarendra and Mahendra Baahubali and Rana Daggubati as Bhallala Deva. The film grossed over Rs. 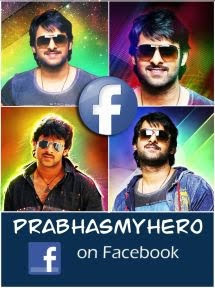 1,500 crore globally and still counting. Baahubali 2 shattered major box office records and received 100% opening during the initial weeks. It's still running in the theatres despite other major releases. Baahubali: The Conclusion is the second part of the series. Part one, Baahubali: The Beginning, released in July 2015. After completing 50 days at the theatres, the official Twitter handle of Baabubali revealed that the film is still running across 1,050 screens across India. (It's a record). It is also the first Indian film to cross the 1,000-crore mark worldwide. Baabubali 2 is expected to release in China this September. Baahubali series tracks the story of rivalry between two mighty princes (Prabhas and Rana) of Mahishmathi kingdom and a warrior slave Katappa, played by Sathyaraj. Ramya Krishnan, Anushka Shetty and Tamannnaah Bhatia are also part of the series. Baahubali: The Beginning ended with Katappa's revelation that he killed Amarendra Baahubali. Baahubali: The Conclusion takes the story forward from where the first part ended and finally to why Katappa killed Baahubali. (Katappa ne Baahubali ko kyu maara).